Moving into a new home can be stressful, so you’ve likely done everything you can to prepare your family for the big day. However, your furry friend may not be quite as ready. As your family settles into your new space, take steps to help your dog or cat do the same after moving. Moving day can be the most difficult for cats and dogs. They will need to travel in the car, switch to a new environment, and handle the stress of unpacking. To help your pet feel more secure during this process, it’s best to keep them in their crate or carrier. Rather than allowing your dog to run around the yard, keep them in a crate with a few toys and their dog bed. You can then walk them around on their leash every hour or so. Contain your cat during the move since they can easily escape out of open doors. In the first few days following the move, your animal might feel disoriented in their new environment, so introduce as much normalcy as possible. Feed them at the same time every day and stick to your same sleep schedule. Take your dog for walks at the same time every day to help them get used to the neighborhood. All of these rhythms can help pets feel more at home. As your animals explore your home and start to settle in, you can help them feel at ease by designating spaces for them. 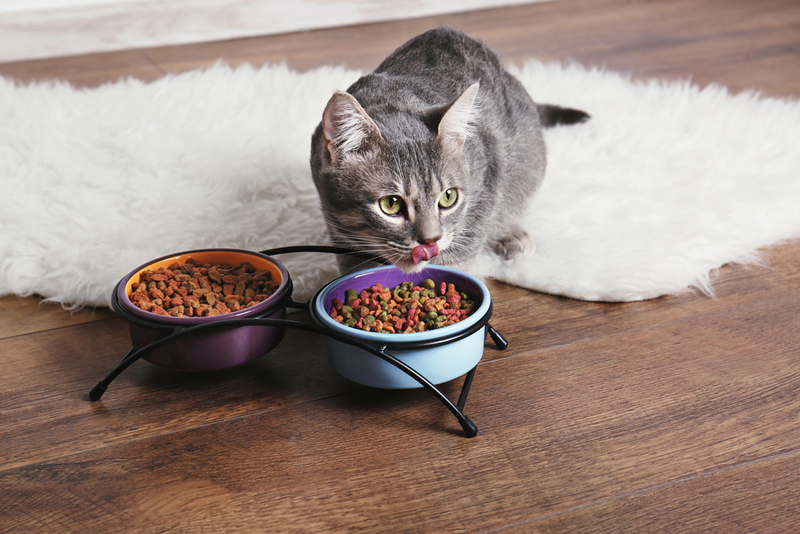 Keep your cat’s litter box and food bowls in a special spot in the home so they can feel like it’s theirs. Place your dog’s bed in your bedroom or living room. Have toys available throughout the house. If you have children, ask them not to move pet beds and food bowls to help the animals claim their territory. Whether you have furry friends or a precious collection, the team at M. Dyer & Sons will accommodate your family’s unique moving needs. Located in Pearl City, HI, their team of 70 employees is trained to make your move as smooth as possible. In addition to moving help, these professionals have also provided families in Pearl Harbor, Honolulu, Kaneohe, Kailua, Hawaii Kai, and Kapolei with quality storage services for over 50 years. View a full list of their services online, and call (808) 456-4200 to request a free quote today.